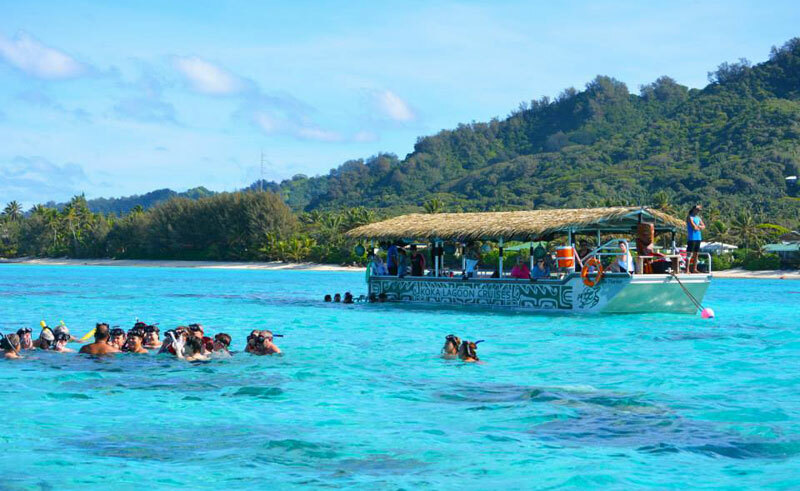 Experience the beauty of world renowned Muri Lagoon aboard Koka Lagoon Cruises impressive glass bottom boat. Snorkel and swim amongst tropical fish at the marine conservation site where you will see the impressive giant clams. See a Coconut Show and entertainment by the friendly crew and enjoy lunch on Koromiri Island.